Hoosier Hill Fruit Pectin is a specially formulated fruit pectin blend that reacts with the fruits own sugars and acid to cause a jelling effect in homemade jellies and jams. When making Jams or Jellies, use instead of Sure-Jell, Certo, or Ball prepared Fruit Pectin Blends. 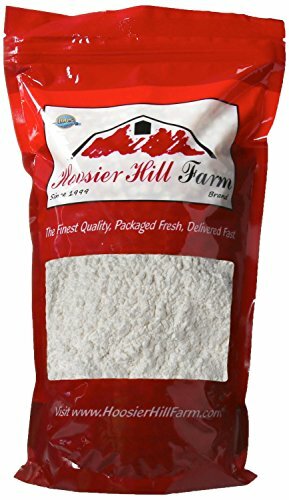 2 lb Bag Hoosier Hill Fruit Pectin. Provides the jelly-like consistency to jams, jellies, and marmalade's. Used to make cooked jams and jellies. Hoosier Hill Farm Brand. Your Satisfaction is Guaranteed.